People often underestimate the importance of support. A kind word has incredible power in letting someone know that they are not alone. Condolences are sent to families and individuals who have lost a loved one. Due to the extreme sensitivity of the circumstances surrounding a loss, it can be hard to determine what should be said and what should be avoided. 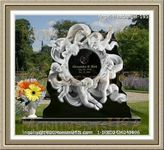 Do not solely rely on generic phrases as every case is different and individuals share in grief on a more personal basis. Be sure to acknowledge the situation to ensure that maximum support is delivered. A popular choice includes a sympathy card, but this is not a personalized option. One should emphasize the good times and memories that were shared with the deceased and how you got to know them. This will allow you to determine the positive aspects that you admired the most. Phrases are available in cards and online, but a genuine and personal approach proves most supportive. 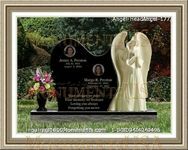 The memories shared with the family and past events can ease the pain and honor the memory of the deceased. Positive language is best as it offers the greatest messages for individuals suffering a great deal of loss.